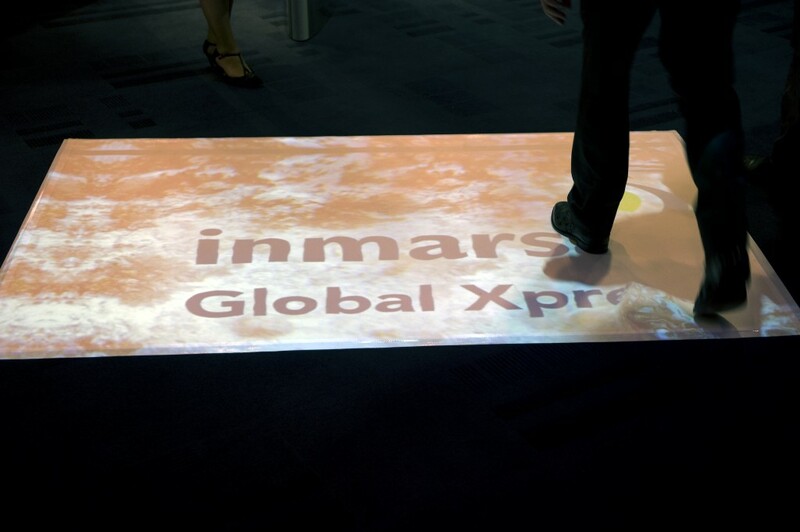 Inmarsat, a global satellite company, booked our services for an interactive floor projection, for which we created a few effects. 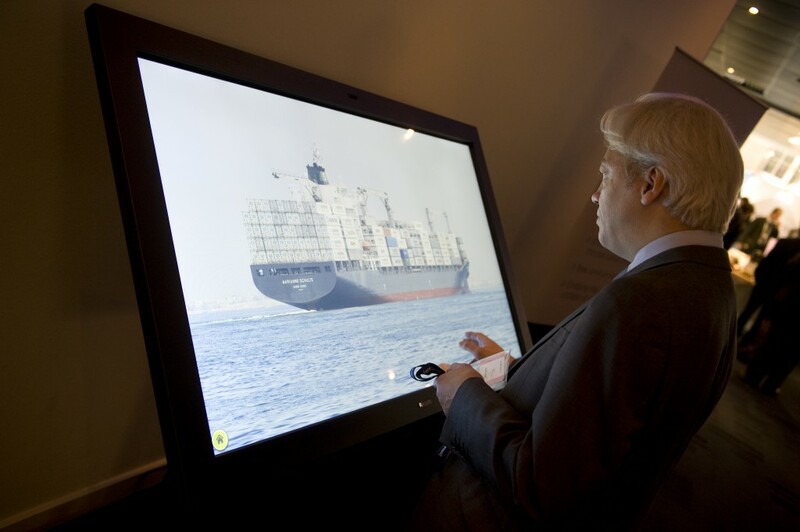 We also had a 55″ multitouch kiosk present, for which we used our interactive multitouch software, displaying Inmarsat’s rich media catalogue consisting of pdfs, videos, pictures and their website, and also their partners’. 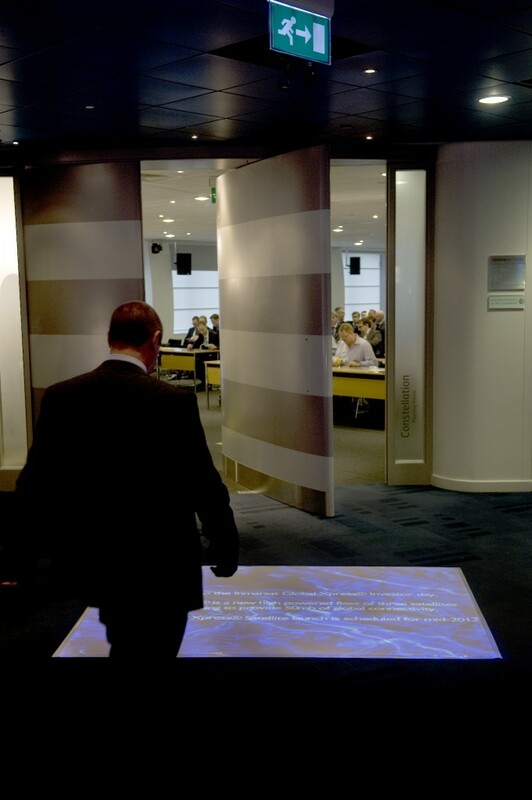 Clients emailing the brochures proved to be a hit.